This is the last part of section 36 on the For Love of Stitching band sampler. This area is an experiment in Algerian eye stitches. The thread is hand dyed silk. This section of the sampler was worked early 2009. Do you want to browse previous articles in the series? 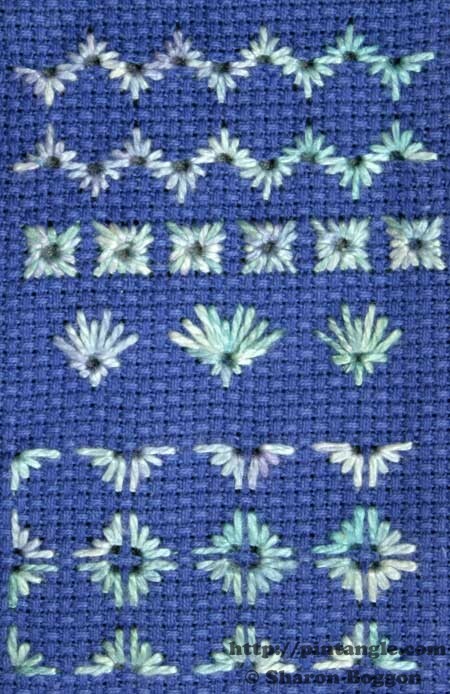 You can find them easily in the Love of Stitching Band Sampler category. Lovely samples. I never thought Algerian eyes would look great on aida.